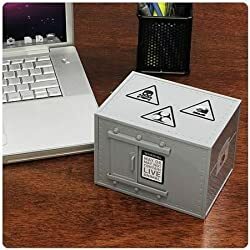 Schrodinger's Cat Executive Decision Maker This is the perfect gift to give yourself or a co-worker. Asked a simple yes or no question from the boss, such as "Will the report be done on time?" or "Will you be able to cover the books for me while I'm away?" the box legitimates "yes...and no" answers.